We all need to be more active, and get more exercise. I know the more active I am, the better I feel. My kids joke with me and tell me that I have more energy than the "Energizer Bunny" and I am on my feet the majority of the day so I thought it would be pretty awesome to see just how many steps/ miles I travel in a day. 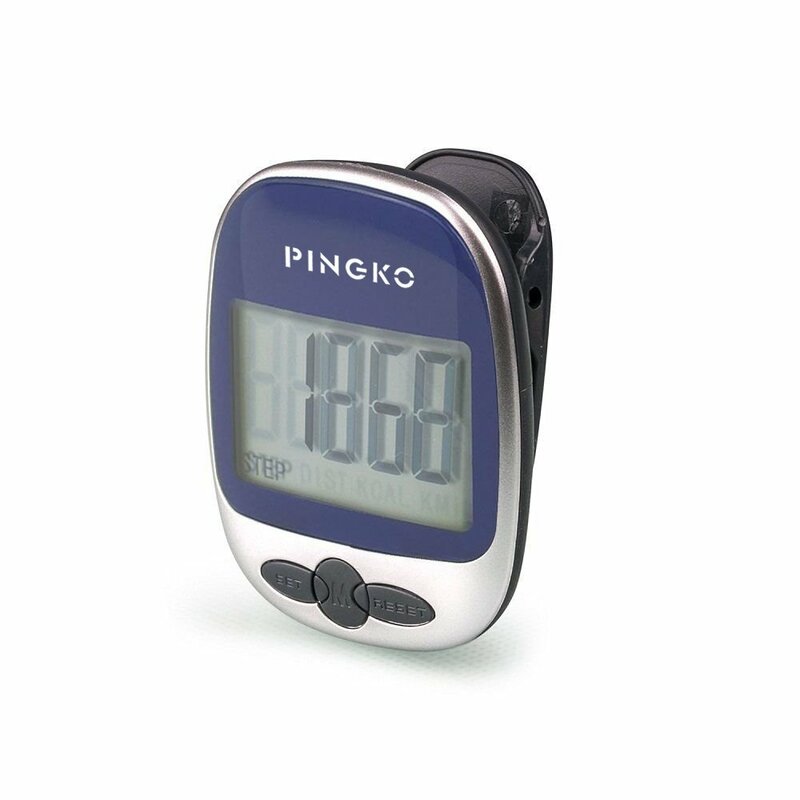 PINGKO Outdoor Multi-Function Portable Sport Pedometer makes that possible. To use the step counter function, press the MODE button until the bottom of the display shows the word "Step" and the step counter will start counting once motion is detected. The paces are detected from the movement of the waist. For accurate reading mount the pedometer close to the center of your body. To use the distance traveled function press the MODE button until the display shows the word "KM" for metric version or "Mile" for the Imperial version.Press the SET button for adjusting the stride distance, this is the distance for each pace. The digits on the display will start to flash, press the RESET button as many times as necessary to adjust the desired stride distance. To use the Calorie Calculation press the MODE button until the bottom of the display reads "KCAL" Press the SET button to enter your body weight. The digits will start to flash ##. Press the RESET button as many times as necessary to adjust your weight. Once the value is set, leave the unit idle for 5 seconds, it will go back to the calorie mode. The counter will start counting as soon as it detects motion. The Auto Shut Off will shut the pedometer off when no motion has been detected for 1 minute.However many steps you have taken, or distance you have traveled will be retained in the memory and as soon as motion is detected again it will resume. This pedometer is really easy to use, and makes it simple to keep track of how far you are walking in a day. Each step brings you closer to being healthier and more physically fit.